On 29 April 2016, about 90 Italian parliamentarians and they are as well members in the EU parliament, signed a petition addressed to the EU to consider Egypt “unsafe country”. The petition mentioned that Egypt was not safe for the Italian researcher Giulio Regeni and not safe for the Egyptian people either. The petition stated that Egypt doesn’t show any cooperation in the murder case of Giulio Regeni. 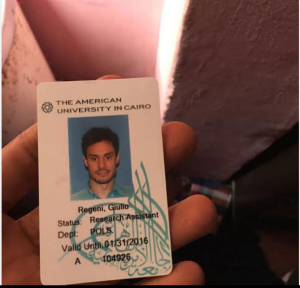 (Giulio Regeni an Italian researcher disappeared in Cairo on 25/1/2016 and his body appeared on 3/2/2016). Italy the land of Mafia, gangs war, kidnapping, disappearance of more than 5000 migrant children in 2015, theft and killing crimes, is talking about the ”unsafe countries”! If Italy wants to fabricate a crisis with Egypt and for the interests of other parties, Italy wants to declare war on Egypt then Welcome to the battlefield. Italy has the right to talk about their citizens including Regeni. But Italy doesn’t have the right to talk on behalf of the Egyptian people. The Egyptian people did not give Italy an authorization to speak on their behalf. Italy has a lot of serious internal problems, especially economical huge ones. Italy should focus more on solving their own internal problems, instead of focusing on an attempt to distract the Italian people outside their borders, in order to ease the pressure faced by the Italian government. Because if Italy doesn’t do this, it will lead to their bankruptcy soon. If Italy goes bankrupted, it will most probably lead to “the Italian spring revolutions”. If we are going to talk about safe and unsafe countries, I think the Italians made the wrong choice, when they have chosen the European Union to address their petition against Egypt. Because the European Union is the last one to speak about this issue. Particularly after the recent terrorist attacks in Brussels and Paris, which showed a disregard for the lives of civilians, and the poor security measures in countries that do not lack potentials or tools, to provide complete protection for their citizens within their own countries borders from any possible terror attacks. Terrorism didn’t dare to attack the heart of Cairo like it dared to attack the heart of Brussels and Paris. Life has never stopped in Egypt not even for one second just because of a terrorist attack happened here or there, like it has been totally paralyzed after the terrorist attacks not just in France and Belgium, but in entire Europe! Western countries, tell us who do you think you are kidding here, us, yourselves or your own people? 1- The corrupted NGOs that you are funding from tax payers money. 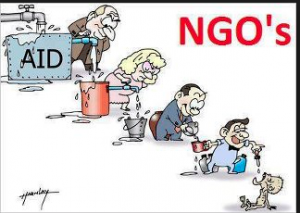 Tell us about your NGOs puppets, who are supposedly independent and non-profitable organizations. Explain to the tax payers, the unemployed and the poor people in your country, how many billions of tax payers money are being wasted on these NGOs? Tell us and tell your own people how the budgets of many of these NGOs based on documented reports, have exceeded more than the budgets of some small countries combined? Explain to us how there are reports that proved the corruption of these NGOs, but have been ignored and these NGOs are being funded with more billions than before? If governments own money in their treasuries, big part of this money is from the tax payers. So, how much from tax payers money goes as funding to these NGOs? We want you to explain to us how these NGOs are totally independent as they claim, and they are defending human rights, or providing non profitable different communities services and projects, while they are accepting funding from governments, public and private sector and different currents, and all these funding sources have different goals, directions and political agendas? Putting into consideration that there isn’t any independence or unbiased, when money is paid and taken in return. When we talk about an individual or an organization that accept funding from a government of whoever, the minute this money is received into the bank account, the beneficiary of this money accepts with it all terms and dictations. How can people trust these NGOs while they refuse to reveal the source of their funding or how they are spending it? The activities of many international NGOs inside their own countries are totally different than their activities outside their borders. Especially their supposedly non profitable activities in the African continent and the Middle East region. For example RTI International (research triangle institute). This non profitable organization have wasted billions in Iraq after the US invasion. In addition to their corruption in many African countries under invented and non-existed projects, beside suspicious projects. In addition to very big amounts of salaries, financial rewards and compensations to the organization’s employees and directors. These salaries and financial rewards have exceeded double of what the more qualified US Aid employees are making. 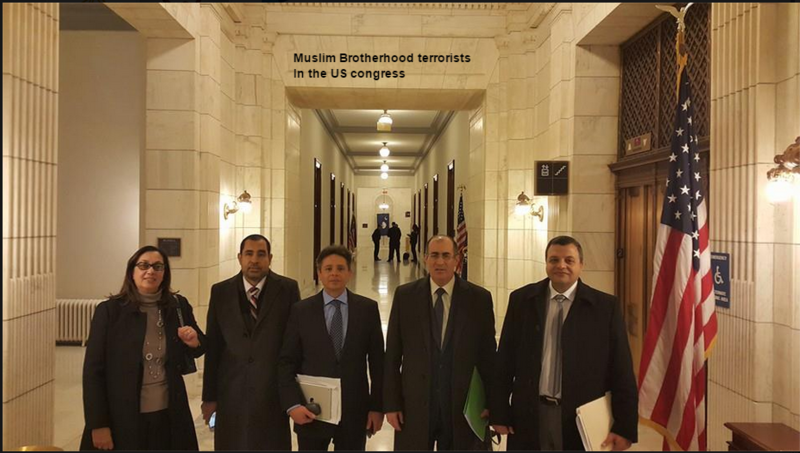 Despite all this, the US wants to force the activities of this corrupted suspicious organization on Egypt. 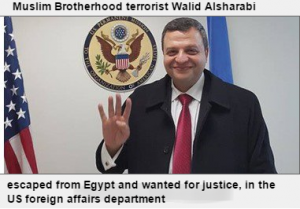 Why the USA wants to export corruption to Egypt? How can Egypt get rid of the corruption inside, when the world has turned upside down just because Egypt decided to re-open the NGOs funding case? Some Egyptian activists and unlicensed NGOs are accused of receiving unknown sources funds and no clue where this money goes. These NGOs refused the Egyptian government’s demand to work in Egypt according to the law and to correct their situation. Furthermore, the US and the EU threatened of international sanctions on Egypt as declared lately, because Egypt dared to apply the law in fighting corruption. Why the US and EU are scared of a fair trial that will prove these NGOs innocence or guilt? Why the Egyptian activists accused of corruption in the foreign funding case, demanded from the UN, US and EU to punish and isolate Egypt, in case Egypt refuses the immediate stop of this case? 2- Tell us about the flying freedom in your sky, and most especially the freedom of expression, which you claim Egypt is suppressing. Naz Shah a British Muslim citizen was forced to present her resignation from her post as deputy for the finance British minister in the western Bradford region, after being accused of racism because she shared an image on Facebook dated two years ago. This image was talking about a solution to the Palestine Israeli cause, by transferring Israel to the US, as US have wide lands areas and to leave Palestine to the Palestinians who are the original owners of the land. Aren’t you the ones who blessed the sale of the Egyptian Sinai land to Hamas in order to transfer the Palestinians of Gaza to The Egyptian land of Sinai, also because Sinai has wide lands areas?! This was the deal that Muslim Brotherhood wanted to finalize in order to offer their obedience and loyalty to the west, enclosed with the death certificate of the Palestinian cause forever. Don’t talk to us about racism, because you are the ones who invented it. 3- Talk to us about the human rights and the freedom of protest, that you guys respect and Egypt is violating. When we watch demonstrations in Europe, US or Turkey, and we see how the police forces there are dealing with demonstrators, we see the brutal beating, dragging and all different forms of violence.. However, we never hear any condemnations from HR organizations or from western governments. I didn’t see for instance protesters in US or Europe planting bombs in front of schools or hospitals, like the Muslim Brotherhood protesters are doing in Egypt. But when this happen in Egypt, the western governments accuse Egypt of repressing the freedom of speech of the armed opposition, who have the right to express opinions through explosive devices and shooting at civilians or police and army individuals! Western governments have very strict protest laws, and these laws are more severe and complicated than the Egyptian protest law. 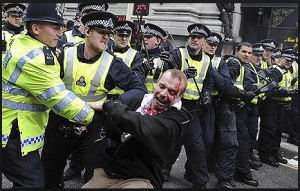 In the west, governments deal seriously with any protest that violates the law of protest. So, why applying the double standards in supporting violence and creating chaos in Egypt under “freedom of protest” claims? 4- Tell us about the crash of Egypt Air flight 990 Boeing 300-767 Off the coast of Massachusetts, after one hour from taking off on 31 October 1990. Tell us again about this fabricated lousy story of the US, 217 people killed on board the aircraft, including 33 very important members of Egyptian military delegation and 3 nuclear power experts. According to the US story the aircraft crashed because one of the pilots Egyptian Muslim, intentionally made the plane crash, because he wanted to commit suicide and the proof that he committed suicide is that he said “I rely on God” right before the plane crashed! Although the strongest reports about the aircraft crash indicated that this plane was blown up deliberately by a missile, But the US report insisted that it was the Muslim pilot who committed suicide deliberately that made it crash. This Muslim pilot said I rely on God because the Muslim puts his trust in God not only when facing threat, but Muslims say this prayer repeatedly by asking God for assistance in all their life matters and needs in general. The United States blocked the black box evidence, and only allowed the part that can work with their poor unbelievable story. In an attempt to understand the last words of the crew, in their last attempt to save the plane from crashing through the only part that the American scissors sergeant allowed. The crew was trying to save it from falling, the Muslim Pilot said I rely on God in this last attempt to save the plane. But the US deliberately erased anything that can reveal how this plane was targeted or anything that can condemn the US, and prevented access to military radar records to the area because it was definitely going to tell who dropped this Egyptian plane. No bodies or even parts of the bodies were found, and what have been found only some human tissues of the victims! If this plane crash was an American or European and not Egyptian and took off from Egypt, and carried on board US military figures or nuclear scientists, What would have been America’s and the rest of the world reaction? Of course, just one hour from the crash and even before the investigations start, the western countries were going to announce Egypt is unsafe area to travel, and their puppets foreign press and Egyptian political activists were going to direct messages to western people, that Egypt is not safe for tourism or investment, and they will determine the cause of the blast immediately with their favorite story that Egypt is the usual suspect. In addition, if Egypt claimed the same story of an American pilot suicide. For example, announced that the US pilot or whatever his nationality, had committed suicide because he was going through emotional shock, Egypt was going to face the same accusation beside a total denial to the story. 5- Tell us about the Russian Airbus flight 9269, and the killing of 224 passengers on its way from Sharm El-sheikh on 31/10/2015 to St. Petersburg – and Why targeting a Russian plan in particular? Strange coincidence that the date of the Egypt Air plane crash in America is the same date of the Russian plane crash in Egypt. Explain to us how after one hour from this incident and before the completion of the investigations and accurate examination, you guys gathered against Egypt and you decided that Egypt must be punished by banning travel and tourism? Tourism is one of the main sources of income in Egypt. Why you didn’t react with the same standards against France and Belgium when the terrorist attacks exposed the weakness of the security measures in these countries? Why you did not forbid tourism in France and Belgium, as you did with Egypt? Why you did not send observers to check and examine the safety of the security measures in France and Belgium? The funny thing about this issue, is that ISIS at first has published a video of the shooting down of the aircraft by a missile. Then after some reports said that the plane crashed because of the presence of a bomb on board, ISIS returned once again and published a photograph of a bomb and said, this is the bomb planted in the plane and caused the explosion !!! If ISIS is the one who did it, then there is no doubt that they certainly know what really took this plane down, a bomb, a missile or maybe both?! 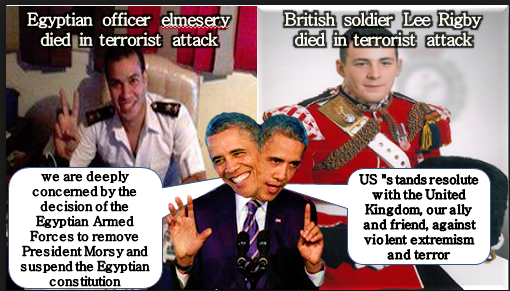 But there is definitely no doubt here about the western governments double blatant standards. This is of course in addition to the Western governments that seem to physically live in their own countries, but their spirits are fluttering and flying in the Red Sea sky to monitor the bombing of the aircraft while happening. 6- Have you thought Why Italy was targeted twice in Egypt? – The car bombing in front of the Italian consulate in Cairo. – The murder of the Italian Giulio Regeni in Cairo. On July 11, 2015 ISIS claimed responsibility for the car bombing outside the Italian consulate in Cairo. The incident resulted the death of one person and nine others injured in the blast. Apparently this terrorist incident was not fruitful in spoiling the relationship between Italy and Egypt or even to create a crisis between the two countries. If we put in mind the accusations of western governments including Italy, that Egypt or security authorities in Egypt killed the Italian researcher Giulio Regeni, then Egypt also bombed the Italian consulate and the Russian plane. Why? Because the one who targeted the Russian aircraft, the Italian consulate and killed Regeni, was originally targeting the Russian Italian Egyptian relations. So, is Egypt really the one profiting from ruining its international relations especially with Russia and Italy? If the plan of ruining Egypt’s international relations works, then comes the final target, which is to get rid of Al-Sisi regime by dragging him to an international trial, after gaining the world community’s support. This is exactly what the Muslim Brotherhood are trying to achieve from abroad. MB declares publicly that their only target is to get rid of Al-Sisi with any price. Why have you deliberately turned your faces away from Maha Azzam, the leader of the Muslim Brotherhood revolutionary council in Europe and Anne Alexander, and both have close relations to the murder of Regeni? Why specifically targeting the Italian researcher Regeni, despite that there are other foreign researchers from different nationalities in Egypt? Anyone following the hostile activity against Egypt, that Muslim Brotherhood revolutionary council is launching from Europe, realizes that the MB dare to do anything and everything with any price just to get rid of President Sisi and his regime. Even if this will contribute in destroying Egypt and turn it to a bloody scene like the Muslim Brotherhood did in Syria. Giulio Regeni’s research was about the independent unions in Egypt. Through the available information about Regeni’s research and articles, Regeni was not the first or last to make such research. Beside that the subject of his research and his articles were not of any importance as marketed in the foreign press. Regeni had many relations with different categories in Egypt, like street vendors. He promised them of funds to improve their living. But then he changed his mind, as he told his friend Amro Asaad. Regeni explained to his friend that these streets vendors were trying to exploit him and he wasn’t feeling comfortable dealing with them anymore. In addition to Regeni’s friends and contacts circle with many different currents inside and outside Egypt, including the Muslim Brotherhood terrorist organization, and they are all inside the circle of suspicion. Maha Azzam is the leader of the MB revolutionary council in Europe. She was supervising Regeni’s research in Egypt through the British Cambridge university in England. In July 2015, Maha Azzam held a seminar in London about the human rights violations in Egypt. This took place in one of Cambridge university halls. In this seminar, Maha Azzam claimed that the situation in Egypt is very dangerous and unsafe for journalists, students, activists, Egyptian citizens and foreigners. 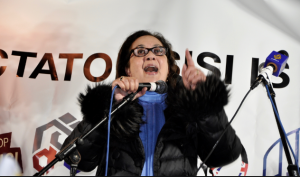 Despite these claims of Azzam, she pushed Giulio Regeni to go to Egypt and she also signed Regeni’s demand to the Cambridge administration to get funds for his research in Egypt. 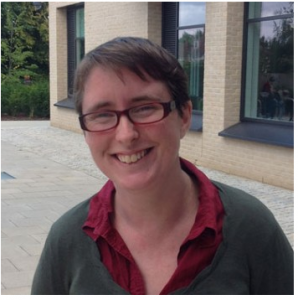 Anne Alexander is a coordinator in Cambridge university for digital humanities network. She is Maha Azzam’s colleague and she has close relationship with her since 2009. She is also a fierce supporter of the MB terrorist group abroad. In October 2015 Anne Alexander published a research about Egypt, in which she stated that the alliance between radical leftists and the Muslim Brotherhood is the only political coalition capable of finally getting rid of Sisi regime in Egypt, and it is the only coalition capable to overthrow his rule in Egypt. This research of Anne Alexander is not just ink on papers, but the idea of her research that is inciting on how to topple Al-Sisi regime in Egypt, is exactly what MB and other currents mentioned in her article are trying to achieve n Egypt. But this inciting idea in her article has totally failed. Because the Egyptian people are aware of the conspiracies and the Agendas that are being planned by these currents whether inside or outside Egypt. On 25/10/2015, Anne Alexander signed a petition to the British Government against Al-Sisi’s visit to the UK. The petition was published on the MB official website (Ikhwanweb). On 4/11/2015, Anne Alexander was leading the Muslim Brotherhood protest in London against Al-Sisi’s visit and was carrying a sign saying SISI THE KILLER. In this protest, her hostile attitude against Egypt was very obvious and interesting. On the other side, The Italian investigations revealed that someone sold or leaked Regeni’s research and part of the information he was collecting about the Egyptian opposition, in favor of bodies outside the university. On 6/5/2016, the Italian investigators revealed that the Gmail account of Regeni has been hacked after one month from his death. After examining his laptop, the Italian investigators think that it was hacked by a Tablet or a cell phone from Egypt. The Italian investigators are trying to recognize the hacker in cooperation with Goggle. If we presume that any security authority in Egypt thought that Regeni was representing any sort of danger, wasn’t very simple and easier not to renew his residence or to send him back home, or never show his body, and just consider it a disappearance case!? From the first moment of Regeni’s disappearance, the direct accusation was addressed to the Egyptian police. If this claim is right, can the Egyptian police be that stupid to deliberately show Regeni’s body after 9 days from his disappearance? Which is the same day of the Italian minister of economy visiting Egypt! Just to tell the world that this is the body of the Italian guy that we tortured and killed and here is the evidence that we did it!? Does this make any sense at all?! Regeni’s mother mentioned that she saw all the evil in the world on her son’s tortured face. Before she accused Egypt of killing her son and joining the inciters in calling for punishing 90 million Egyptian citizen for Regeni’s death, She should have looked around her and very close to her side, maybe she would be able to recognize her son’s killer who is poisoning her thoughts towards Egypt, because the killer of her son did walk with her in her son’s funeral. The target from Regeni’s murder, is President Sisi. He is the main target. To accuse Al-Sisi with any similar crime, so he can be dragged to an international trial. This is exactly what the MB revolutionary council abroad is doing in inciting the entire world against Egypt and Al-Sisi. Look for the beneficiary, you will find the real killer. Especially that terrorists realized that bombing the Italian consulate did not succeed in ruining the relation between Italy and Egypt. If Regeni was kidnapped and his kidnappers asked for a ransom or slaughtered him, this was going to be considered a terrorist act, and it was not going to reach any results, just like the Italian consulate bombing failed in creating crisis between Italy and Egypt. 7- Almost Two month have passed on Regeni’s death, and the Egyptian and Italian investigators didn’t manage yet to solve Regeni’s murder case. And for this, the world is accusing Egypt of murdering Regeni and they want us to invent a specific killer like their nasty imagination is telling them. While on the other side, there were Egyptian citizens murdered in 1973, 2002 and 2007 in London “the fog capital”, and Scotland yard men who are an example in solving the most complicated crimes, never found out who killed these Egyptian citizens! So, did Scotland yard really fail in solving these cases because they had no clue, or because they deliberately were protecting the real killers? Especially that Scotland yard have closed all the following murder cases, disregarded many facts even in the forensic reports and considered all of them, either the killer is unknown or the victims just fell down involuntarily from their balconies, or the victims just committed suicide! – Egyptian Lieutenant general Mohammd AL-Laithi Nassef, founder of the republican Guards in the era of President Gamal Abdel Nasser, and also worked with President Sadat. He died immediately after falling from the 11th floor in Stewart Tower in London on 24 August 1973. The case ended as a suicide or involuntarily fall. The victim was staying with his family in Stewart Tower in London to make some medical tests and checkups. So is it possible, that he decided to travel all the way from Egypt to London, just to commit suicide from the 11th floor? Why didn’t he commit suicide in Egypt then? Is it again possible because at that time, there were no towers in Egypt so he can make the jump and get done with it?! – Egyptian famous actress Soad Hosny, also fell from the six floor in Stewart Tower in London on 20/6/2002 in very mysterious circumstances. Scotland yard considered her death as a suicide case, and disregarded the forensic reports that stated that there is a crime suspicion and not a suicide case. They also disregarded the testimony of her neighbors who confirmed that they heard very loud voices in her apartment before she fell down, and it sounded like some people were quarreling in the apartment. How possible that she committed suicide, while she was getting ready to go back to Egypt, after she managed to reduce her weight, and she had dental treatments and many dental implants surgeries?! According to Scotland Yard, I guess that she reduced her weight, so she can be able to jump from the six floor! Also I guess that she went through a very long and painful operations of dental implants, so she can break them by jumping from the six floor too! – Ashraf Marwan, a politician and a businessman and husband of Mona Abdel Nasser, daughter of the late President Gamal Abdel Nasser. He fell from his residence balcony on the fifth floor in London on 27 June 2007. The British police and judiciary claimed that he died by committing suicide too! Although the location of his home had surveillance cameras, but in this specific day of his death, the cameras were disabled intentionally. He was traveling on the same day of his death to America to meet with his lawyer, and also he has prepared for a holiday with his grandchildren, his wife and family and he bought gifts for his grandchildren before traveling. Beside all that, his diaries disappeared on the same day of his death. 8- Disappearance crimes and murders of Egyptian citizens happened lately in UK, US and Italy in 2015 and 2016. Despite that these specific 3 countries have never shown any uprising towards the Israeli crimes against the Palestinian people, but they have certainly shown their uprising towards the murder of Giulio Regeni. In addition to their direct accusations to Egypt of killing Regeni. UK, US and Italy obviously believe that the Egyptian citizens blood is so cheap and when they die or disappear in foreign countries, they are not even as precious or have the same animal rights in these countries. Simply because they haven’t shown any interest about these crimes, like they have shown it towards the murder of the Italian Regeni. – 30 April 2016, Muhammad Baher Subhi Egyptian citizen who was resident in Italy for 10 years. He went out for a coffee and did not return home. His body was found in Naples with Bruises and traces of beatings on his head and jaw, and his body was found on a railway rods. – 26 April 2016, Sheriff Adel Habib, an Egyptian citizen, his body was found burned with stab wounds in different parts of his body in London. UK did not start to move in uncovering the circumstances of his death, but only after public and governmental pressure from Egypt’s side to the UK to work seriously on the case. – 22 April 2016, Mohamed Adel Rushdie Egyptian citizen. His body was found next to a trash container in Chicago and the cause of death was strangling. This Egyptian citizen disappeared for quite some time, before his body appeared in a waste container. The United States did not notify Egypt of the killing of the Egyptian citizen, but on 27 April 2016. The Egyptian consulate learned of his death through a member of the Egyptian community in the USA. – 5 October 2015, Egyptian citizen Adel Mouawad Heikal, was residing and working in Italy for 15 years. Suddenly he disappeared for more than five months now on 5 October 2015, and Italy is not concerned at all by his disappearance case. 9- Assassination of Egyptian scientists in European countries and in the USA. They were assassinated because they refused the US residency or to work outside of Egypt, and insisted on returning home to Egypt, so their people and country benefit from their knowledge and experience. These assassinations cases were not investigated. They were orchestrated as accidents and who did it was “Unknown”, and cases closed. – Egyptian nuclear scientist Samira Moussa. She was assassinated by a planned car accident in 1952 in the United States, after she was invited to visit a nuclear plant in the US. She used to be called “Marie Curie of the East” for her great knowledge and research in her field. She was the founder of nuclear Energy institution after 3 month from the Israeli state declaration in 1948. She traveled to Britain and America in 1952, and had received offers from America to work and reside there and not to return to Egypt. But she refused and insisted to return to Egypt to serve her country and own people. She Received an invitation to visit a nuclear plant in California on 15 August 1952. After the end of her visit and on her way back, her car was pushed deliberately by a truck, and the truck threw her into a deep valley and she was killed instantly. The driver of the car was an Indian national and a colleague of Samira in the same field, he jumped out of the car and disappeared forever. – Egyptian nuclear scientist Samir Naguib was assassinated in a planned incident on 13 August 1967 in the US. Samir Naguib won a job as assistant professor at the University of Detroit in US, after applying in a competition that included more than 200 scientists from different nationalities. The Americans seduced Samir with many offers to stay in America, but he insisted on returning to Egypt which he had scheduled on 13 August 1967. Several US bodies have tried to convince him not to leave, but he insisted to return to Egypt to serve his country with his knowledge. On the same day of his return to Egypt, a car was following him and hit him and didn’t leave him until his car was wrecked and he was killed instantly. – Egyptian nuclear scientist Yehia El-Mashad, his body was found on 13 June 1980 in “Le Meridien Hotel” in Paris with his head smashed. The French police considered his brutal murder as an assassination case done by “Unknown”. Now Tell us, you western governments who represent freedom, equality, transparency and honor, about the Police State in Egypt. Tell us about the Egyptian army and our police forces, whom you consider the arm of Sisi the killer, who practices murders, oppression and forced disappearance against his own people. Please advise us, How can we get rid of this oppressor regime, who despite his horrible crimes against the Egyptian people, the Egyptian population have reached 90 million citizen, with a rate of giving birth every 15 seconds?! If Sisi regime is so horrible as described by the western countries governments, why then they are insisting on dealing with Egypt? Why they don’t just deal with the similar civilized countries as themselves?! The working groups against Egypt claimed that there is a force disappearance in Egypt. One day they mention the force disappearance cases have reached hundreds, then the next day they claim that they have reached more than 4000 cases. Despite that the Egyptian interior ministry have provided documented responses on all the claims of forced disappearance, through the national council for human rights in Egypt. But still the international human rights organizations are claiming that there are thousands of forced disappearance in Egypt. Till the 9th of April 2016, the Egyptian interior ministry received 272 force disappearance cases and not 4000 as foreign press or HR organizations are claiming. The ministry responded to all the 272 cases, despite that the international HR organizations did not comply to the UN standards in this regard. The HR organizations have provided incomplete application forms with missing data about the individuals they claimed their forced disappearance in Egypt. The majority of these cases turned out to be on trials for committing terrorist crimes and they are in prisons. Other cases were already released from jails. As confirmed on 15th of January 2016, by Nabil Shalaby, the person in charge of the forced disappearance file in the national council for human rights in Egypt. In addition, Dr. Salah Salem member of the National Council for Human Rights, said on 9 February 2016 on Al-Balad newsroom program, that most of the cases in that period were just 191 cases, and the ministry of interior responded to all of them, and none were forced disappearance cases as claimed. He also added that claiming this forced disappearance, is just an attempt by the international human rights organizations and other forces working from the outside, to criminalize the Egyptian regime, in order to get rid of it and impose sanctions on Egypt. Even if it was through false allegations, which have been answered by the Interior Ministry and the response from the Interior Ministry were documented as the cases were introduced. If there is forced disappearance in Egypt, why Egypt is not in front of the international criminal court till this moment we speak? Putting into consideration, that this is really a serious crime. If it was true and documented with evidence, there was no way Egypt can get away from punishment, or this specific crime can be ignored. I posed exclamations and questions marks, through every single detail I mentioned in this article of events and facts that happened in the past and in the current time. If there is no documented evidence on some of the events, at least it is an invitation to think based on objectivity and logic; and not based on fabricated stories and bad reputation campaigns launched against Egypt, and the deliberate misleading of the international public opinion. This is happening because Egypt got rid of a terrorist organization that was leading Egypt to the same Syrian and Libyan destiny. The western governments still want to force this terrorist group on us and get them back to power again. How should we deal with the world then? 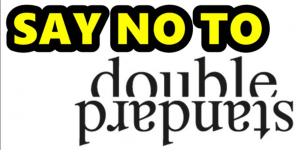 Should we deal with the same double standards and accuse them with no proof, like they are doing to us? Maybe based on “equality in unfairness is justice”! Or should we deal with them based on logic and objectivity, despite their foreign policy and double standards which exceeded all red lines? The Egyptian people are not living the role of a victim and they certainly don’t have a persecution complex. We are not claiming that everything in Egypt is going well and perfect. We have many problems and we do need reforms in all sectors. But this is not a reason, that we accept to be accused with this conspiratorial and lurking way that is aiming to destroy our country. The Egyptian people are so exhausted and are running out of patience from all these agendas, conspiracies and the double standards of the West towards our region. The Egyptian people want to live in peace, prosperity and security. They want a better future for their children and grandchildren. They want reforms and changes from the inside that are “made in Egypt” and not “Made abroad”. The Egyptian people are the only ones who have the right and the willing for any change. As far as I know, the Egyptian people did not issue any agencies or authorities to any individual or any group or country outside Egypt, to talk on the Egyptian people’s behalf. I hope the working groups against Egypt including the western governments, realize a very important issue, maybe they deliberately or by coincidence are ignoring it. Their battle is not with Marshal Sisi the president of Egypt, but it is with the Egyptian people. Also to realize that all their attempts in concentrating on getting rid of Al-Sisi regime, is not really going to make Egypt an easy target, in order to create internal bloody conflicts, like the west did to Libya, Iraq and Syria. Western countries and the working groups against Egypt have dropped the Egyptian people from their agendas and calculations, in case Marshal Sisi is not there one day. The Egyptian people stand in the front line, and we are not going to allow once again, the repeating of the US creative chaos project in Egypt. This lesson we have learned well, and we are not going to fall in the same hole twice. If Al-Sisi was a killer and a dictator as they falsely claim, who decide to keep him or force him out of his post, is the Egyptian people and not a bunch of political mercenaries funded from abroad. 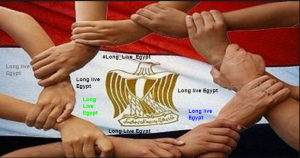 Maybe this is the right time and it is not too late for all the working groups against Egypt whether inside or outside, to try to deploy their wasted efforts on lies and smearing Egypt’s reputation, on another issue that they can get out their destructive energy. For instance, to look for an honest legal profession, in order to gain clean and legal money, instead of the dirty money they are making for living, in return of selling their principles, their homeland and dignity. I’m not going to say that I hope for or expect that the western governments are going to stop one day their double standards towards the middle east or Egypt in particular. Because this will never happen. This is going to continue till God inherits the earth and everything on it. History taught us that western governments have never wanted progress or prosperity for Egypt. All these attacks campaigns if it is proving anything, it is the great fear from Egypt, especially after Marshal Sisi became the president. Marshal Sisi is the president of the Arab Republic of Egypt, like it or not, accept it or not, and he will stay the president of Egypt as long as the 90 million Egyptians want him to stay in his post. The Egyptian people realize that the western governments don’t give a damn but to their own interests. They don’t care about any freedom or human rights in Egypt or any Middle east country…which is fine and no problem at all that they care only for their own interests. But western governments and their puppets, should really feel a little bit ashamed from all these lies and claims, and to stop deceiving their own people. Also to show some respect to their public opinion, which indeed won’t happen under the misleading and distraction policy to draw their people’s attention away from their own internal problems. Especially terrorism which had a golden opportunity to grow inside their territory. We treat the western governments and their working groups against Egypt with the same way they are treating us, but in this case they shouldn’t really feel offended. 17- Who got out the body of the young Italian murdered in Cairo, to coincide with the visit of Italian Minister of Economic Development , Regeni disappeared since January 25th, 2016 and his body appeared on 3 February 2016 same day of Italian minister visit to Cairo?